It was our annual trip to South Africa to celebrate Virginia’s birthday and our anniversary. A dear friend Jannie Otto suggested we come and celebrate our trip with a sable hunt which he promptly arranged. 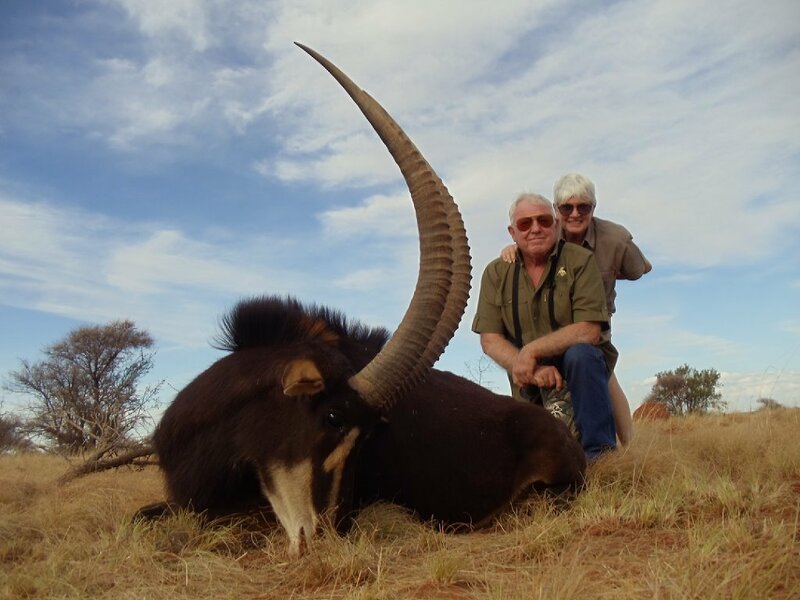 This was a hunt with Jannie which spanned back some 30 years with my being his first North American client, Virginia and I have spent many happy and hard working times with Jannie and his wife Ronel. We have worked in his hunting camps for up to two months at a time and over time, got to know his Africa like a second home. Since my very first animal taken with Jannie was a Mountain Reedbuck I decided to do not only the sable but a mountain reedbuck as a fond keepsake of the some 30 trips with he and Ronel. There are too many stories and too many faces to remember them all but one of my favourite and lasting memories are when I found my self knee deep digging out a sewer line while managing Buffelsdrift Lodge for Jannie. Virginia and I were managing the camp and when the system failed it was my responsibility to fix it. I threw my Danner boots away after that two days of making toilets flush again. Virginia and I were in that camp for two months and each day was an adventure with clients and the wildlife which has been so much of our life. Thank you Jannie and Ronel for a great 80th birthday party.